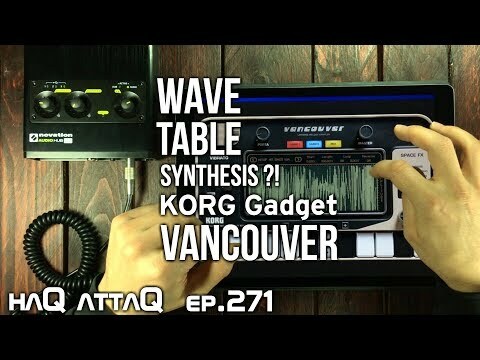 Is it really possible to do Wave Table Synthesis with KORG Gadget Vancouver? Well to a point..
Been loving making dnb in gadget...love your videos man,. Since 'Vancover' does everything (Start, End & Loop) in % it would make sense to merge 100 waves into one 'table'. they would all have to be a 10th of a second long though! Any number that's a factor of 100 would work. I like this idea; it appeals to my fussy instincts. But – 0% to 100% is surely 101 discrete steps? Between this, Gladstone, and that Mellotron expansion in Module, I think I have what I need to create something that sounds like early Justice (that dark electro stuff). This is such great work. I will almost certainly never create a file in Cubasis using carefully selected single-cycle waveforms. But watching your process was really inspiring. It fired all kinds of ideas for how to work with Vancouver. Please keep making these videos. You're approaching Jeremy Hall (of Red Means Recording) in terms of entertainment/instruction. Extending my Patreonage, man. Thanks.